Our fifth grade is well into their signature DNA unit, done in collaboration with the DNA Learning Center at Cold Spring Harbor Laboratory. The lab's challenge was to devise a way to break down the lactose in milk using the enzyme lactase. First, the boys made lactase enzyme beads. In a follow up lab, they changed a variable, such as the amount, color or shape of the enzyme, to see if it better broke down the milk. Through labs like these, our boys experience for themselves the various important steps of the scientific method, such as "fair test" in an experiment--the changing of a single variable while other conditions remain constant. 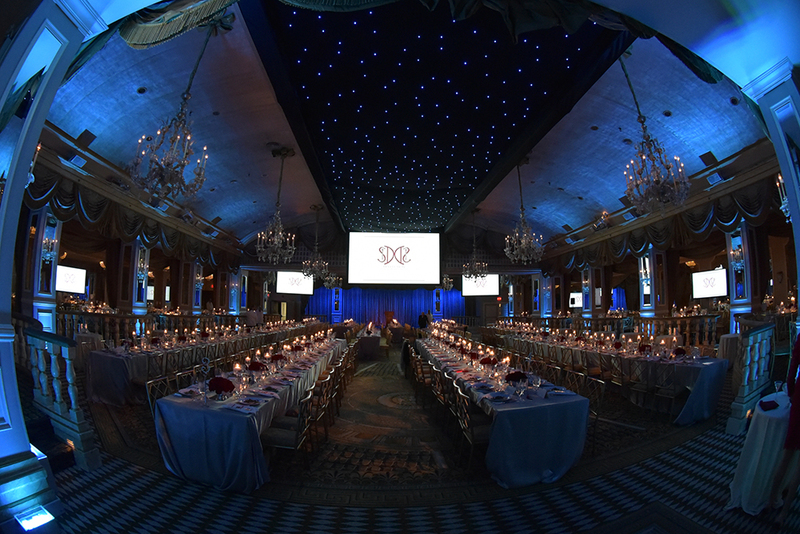 On Friday evening Saint David’s parents, faculty and staff gathered at The Pierre for our PA Benefit Auction and Dinner Dance. It was an elegant and festive affair, the mood joyful and celebratory. We have much to celebrate at Saint David’s: our wonderful boys, exceptional faculty, and an incredibly dedicated parent body. Thank you to Elizabeth Villar, Benefit Chair and her benefit team, and PA President Tracey Pontarelli for all their efforts on behalf of Saint David’s. 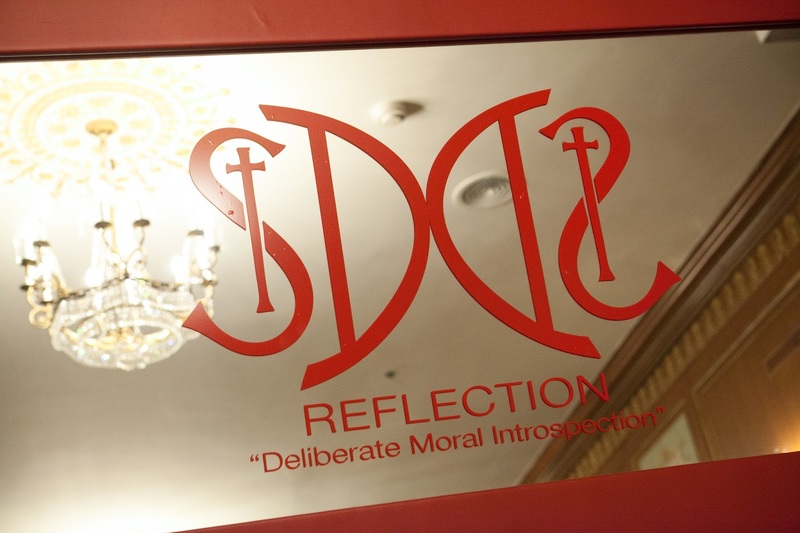 This year, the benefit’s theme was Reflection: Deliberate Moral Introspection. 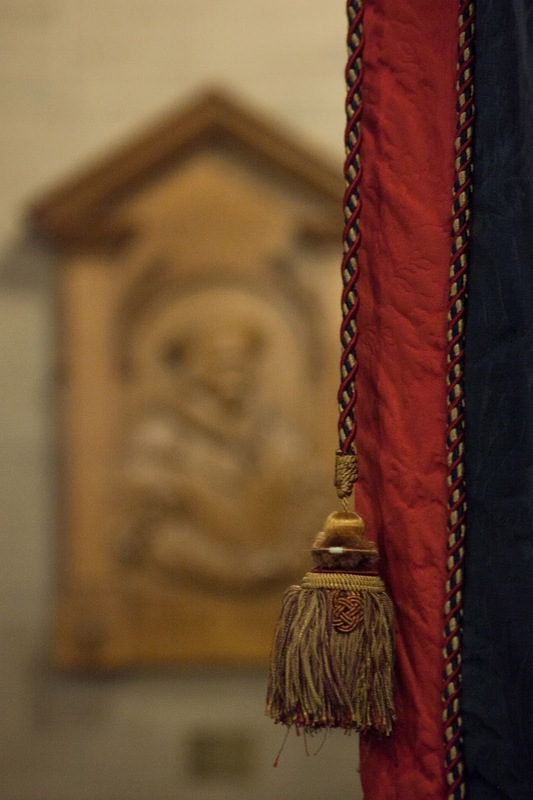 Our boys are encouraged to spend time reflecting deliberately, especially upon the ethical, the honorable and the decent, in their journey toward becoming the good men that is our mission’s aspiration. I would like to share a video featuring a song based on this theme that was written especially for the benefit by parent Tom Kitt and which reflects the strong bonds of community at the heart of our school. This morning it was 7 Theta's turn to bring Greek drama to Saint David's, this time in a production of Antigone by Sophocles. The tragedy tells the story of the daughter of Oedipus and Jocasta, victim of an unrelenting fate that doomed all of their descendants. The boys performed beautifully, owning words that were written more than 2000 years ago, but which resonate today in universal themes such as civil disobedience, divine vs. natural law, and loyalty. Mounted in conjunction with Grade 7's study of ancient Greece, the seventh grade plays provide our boys with another avenue by which to deepen their understanding of that civilization. They also afford the opportunity to ponder the moral dilemmas presented, in line with our school-wide theme this year of deliberate moral introspection. Congratulations to today's cast members and to their teacher/director, Jim Barbieri. Bravo! 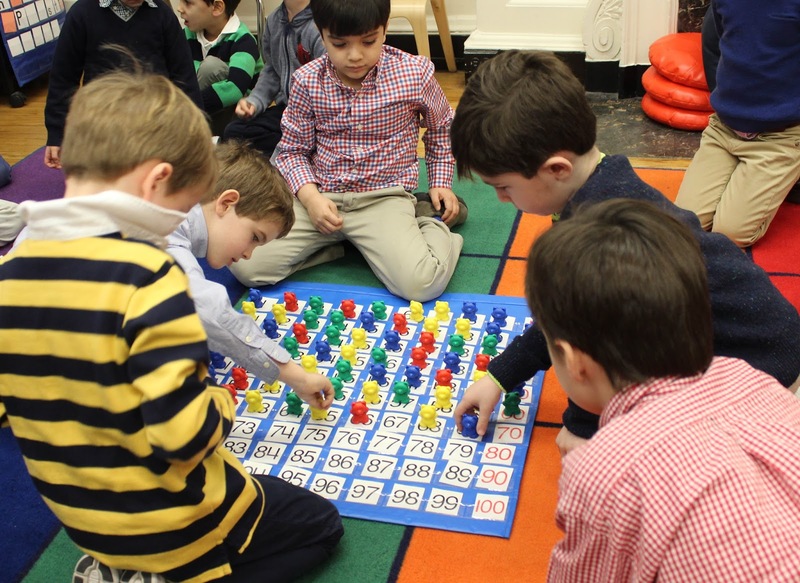 Our pre-primary boys are celebrating the 100th day of school this week with creative projects that reinforce and build math skills. Yesterday Kindergarten boys went on a scavenger hunt, delightedly taking turns combing their classroom for colorful bears hidden in corners and cubbies, which they then placed on a 100s chart. 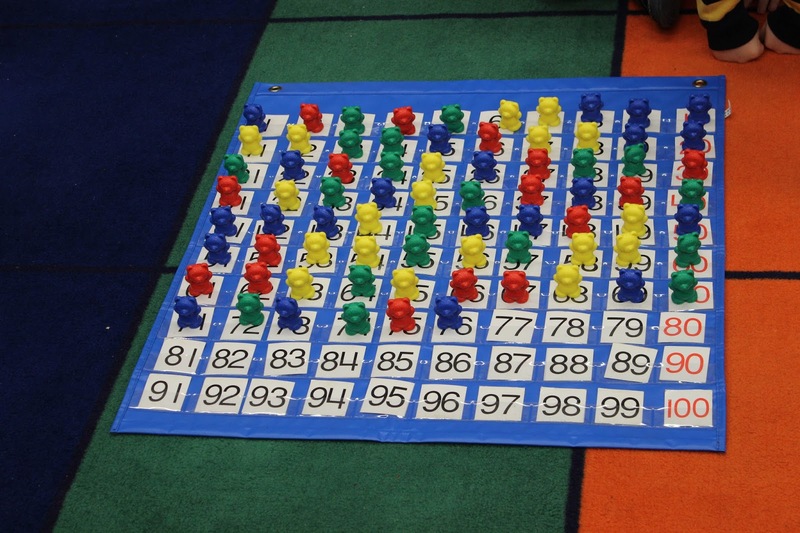 After each turn, teachers and boys reviewed the chart to determine how many more bears were needed to reach 100. Once the boys had completed the chart, they skip counted by fives and 10s to reach 100. Today, the Omega boys will exhibit their 100 Days Museum projects for parents; these are always creative and colorful displays in which they cluster objects into equal groups to reach 100. 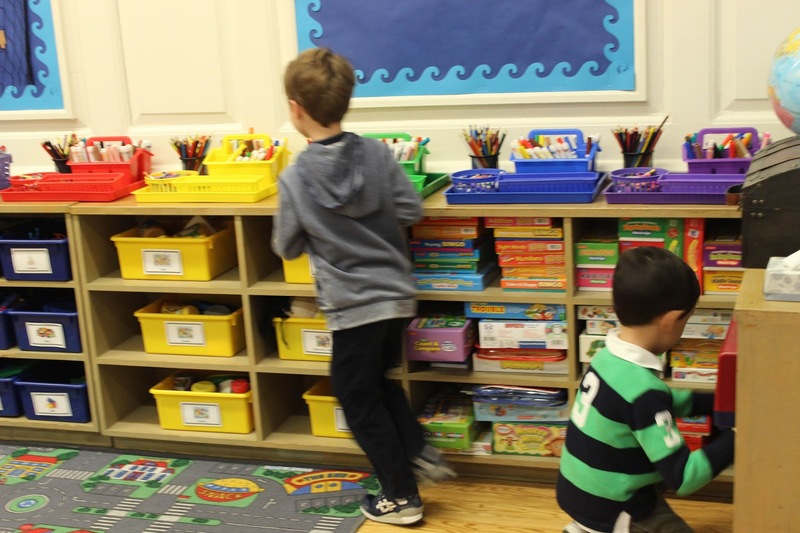 Through engaging, hands-on activities like these our young learners have fun as they develop number sense, discovering patterns in math in a tangible and visual way. This morning, 7 Pi took us back to ancient Greece, with a performance of Alcestis by Euripides. The play tells the story of King Admetos and his wife, Alcestis, who sacrifices her life to spare her husband from Death's hand. This tragi-comedy, which explores various relationships, was performed so well by our seventh graders, under the superb direction of their teacher, Joe Kilkeary. Euripides was not well liked in Athens, as he rejected the life of the polis and questioned the gods and heroes. I was impressed with how the boys mastered the comic and tragic elements in this free-thinking, rebel playwright's words. In seventh grade, the boys explore ancient Greece and Rome in their history classes, and the seventh grade plays (7 Theta will perform theirs next week) are mounted in conjunction with this unit of study. The tradition of theatrical performance is strong at Saint David's; plays or musicals drawn from the curriculum are produced by most grades throughout the school. Congratulations to all of our budding thespians this morning. Well done! This morning Grades 3 through 8, parents, faculty and staff gathered for the Ash Wednesday mass at St. Thomas More, marking the beginning of the Lenten Season in the Christian calendar. 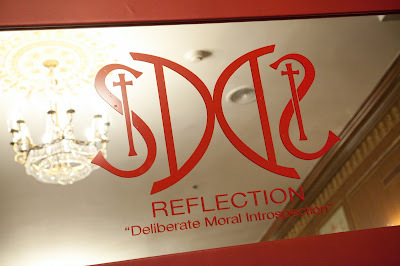 It is a season for reflection, penance, sacrifice, and good works in preparation for Easter; a time set aside for practicing what is our school-wide theme this year: deliberate moral introspection. Through this year's theme, drawn from the first sentence of our mission, we are asking our boys and ourselves to think about the effects of our thoughts and actions: to reflect on the virtues (cardinal, theological, or intellectual), and to examine traits of character--all toward developing and strengthening the moral core. 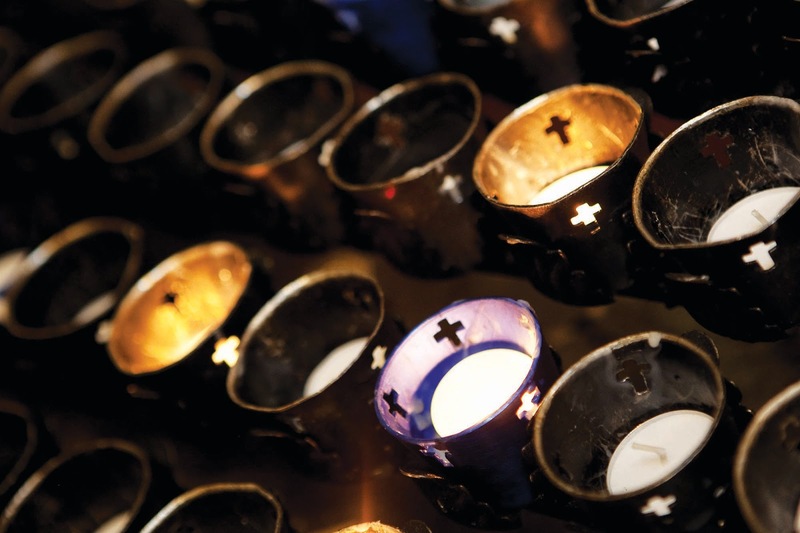 Our school masses celebrate and reflect a community for which doing good is a priority, whatever our individual religious affiliation may be. It is the ultimate aspiration for our graduates. Every day, whether or not it is Lent, provides the opportunity for each of us and our boys to be a little better than the day before. What boy doesn't like a scavenger hunt? Knowing the appeal of this active, challenging game, one of our Spanish teachers, Leonor Brenes, has incorporated the activity into her Fifth Grade Spanish class. 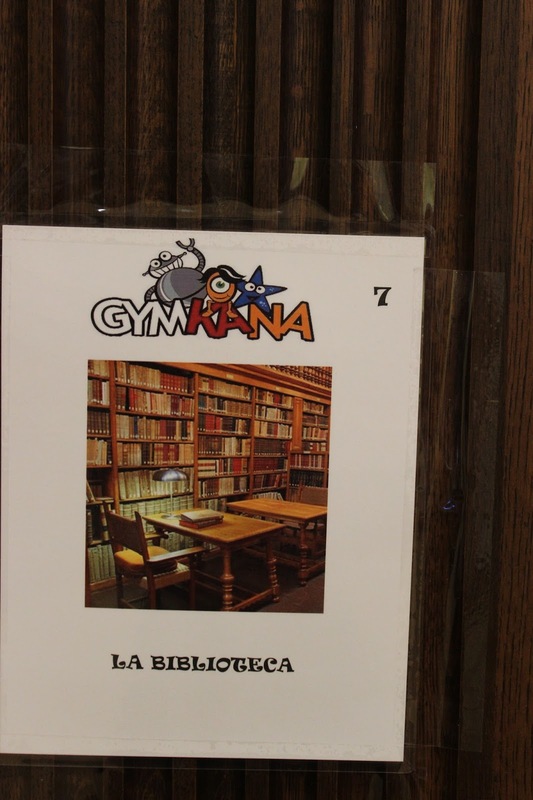 Posters with photos representing school spaces are hung at different key locations throughout the building, such as the Hume Library, (la biblioteca), lunchroom, Chapel and faculty lounge. 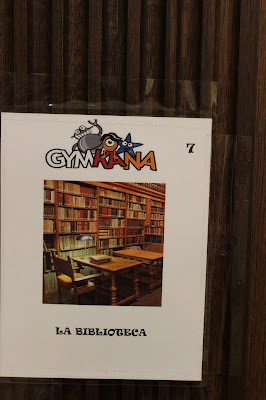 The boys, in small groups and armed with an iPad using a video-reading app called "Aurasma," scavenge all around the school looking for the posters. Once they find one, they launch the video with their iPad and see one of their Spanish teachers talking about the current location and providing clues entirely in Spanish to the next location. The winning group completes the scavenger hunt (10 locations in all) first, and correctly answers questions in Spanish based on the information provided in the videos. Creative, active, out-of-classroom adventures like this, which thoughtfully incorporate technology, make learning engaging and memorable for our boys throughout Saint David's academic program. 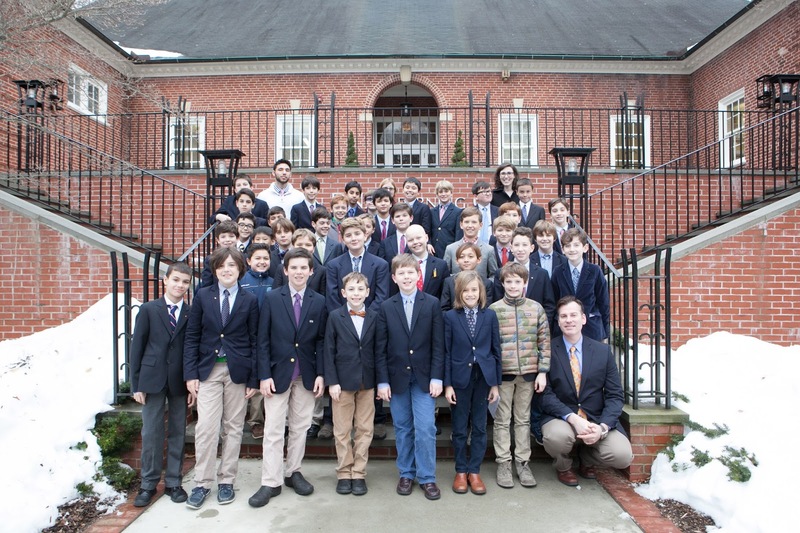 Earlier in the week, fifth graders spent the day at the Dolan DNA Learning Center of Cold Spring Harbor Laboratory. 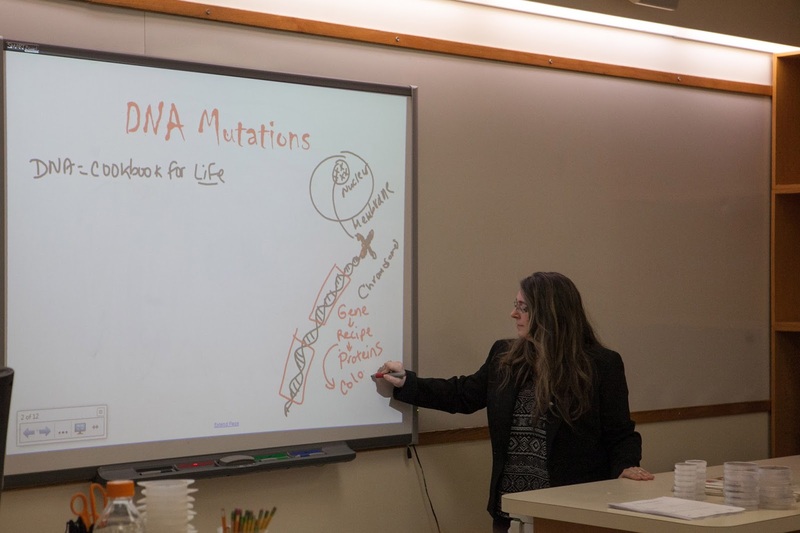 The visit was conducted through our partnership with the DNALC for a several weeks' long DNA science unit. While at the Learning Center, the boys completed two rounds of investigations, met a scientist, and explored the Learning Center’s museum. 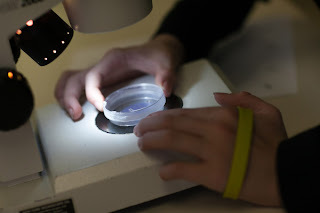 They learned about DNA mutations and their effects by examining microscopic roundworms and small fruit flies under the microscope, searching for differences in behavior or physical characteristics that could be explained by genetic mutations. Dr. Molly Hammell, a scientist at the Cold Spring Harbor Laboratory who studies how melanoma spreads, and tests treatments that might help fight the cancer, spoke at length to the boys. She fielded many questions they asked about her research and how she came to be a scientist. Dr. Hammell discussed two genes that often are mutated in melanoma, which tied in nicely to the boys’ current study of genetics. At the Learning Center's museum, the boys viewed a full-size, 3D printed replica of Otzi, the 5000-year-old ice man who was discovered by skiers in the Alps, and they learned how scientists discerned his age, health, occupation, and travel history using molecular biology. 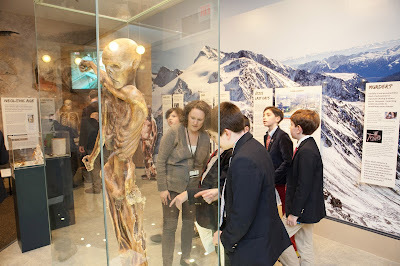 They were fascinated by Otzi and his story. It is believed that he was shot in the back with an arrow, fell into a crevice and was quickly buried in snow. Our boys offered their own interpretations of what might have happened to him as well, including that he had accidentally stabbed himself with an arrow, or had fallen first and landed on the arrow. The boys came home with many new ideas and great questions they will explore as they continue their study of DNA with their teachers and DNALC educators. 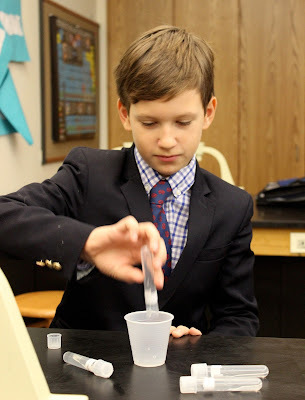 This unit in Fifth Grade, as well as the partnership with DNALC in Eighth Grade, which involves an original DNA research project, afford our boys the valuable opportunity to interact with and learn in a hands-on way from scientists at the forefront of exciting DNA research. Imagine how inspiring this is for our fifth graders!